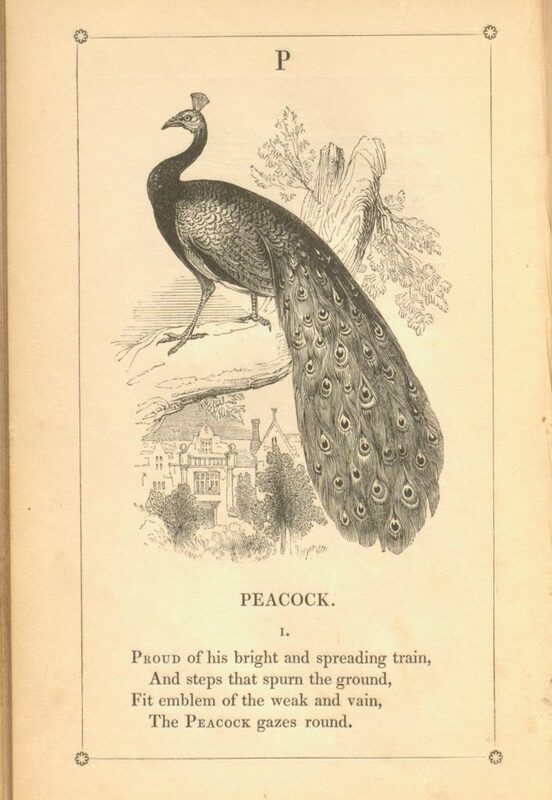 In our final blog post sharing the bumper crop of new accessions to SC&A over the summer we turn our attention to three additions to the children’s literature collections. 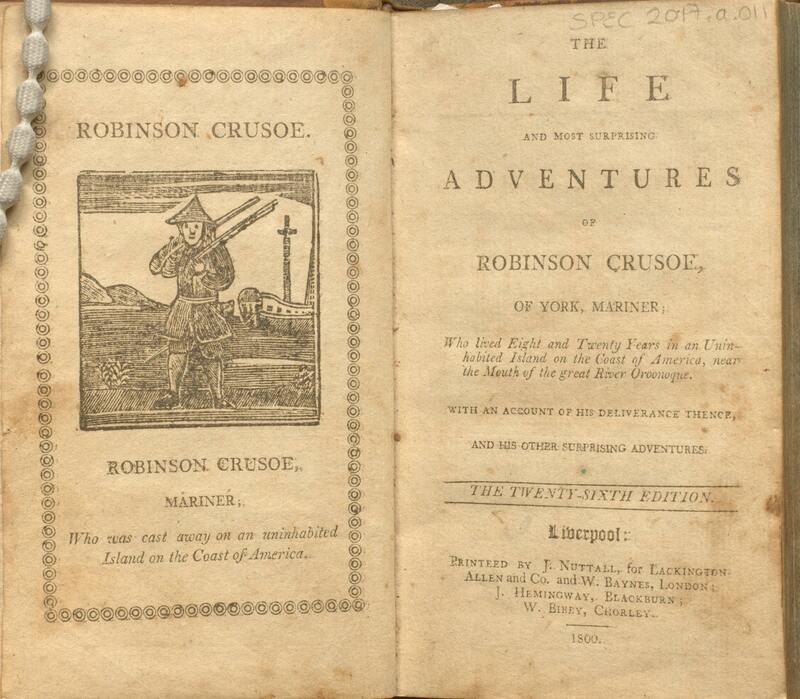 The first is an 1800 copy of Robinson Crusoe, bearing a woodcut frontispiece plate. This copy is printed in Liverpool, and is one of only 7 copies recorded on the ESTC in the British Isles. The item has a contemporary calf binding and is signed in ink on the upper inside board “Alex:r Patton Junr. Sundragen Dec.b 30th 1807”, it also bears the bookmark of William Kidd of Armagh. 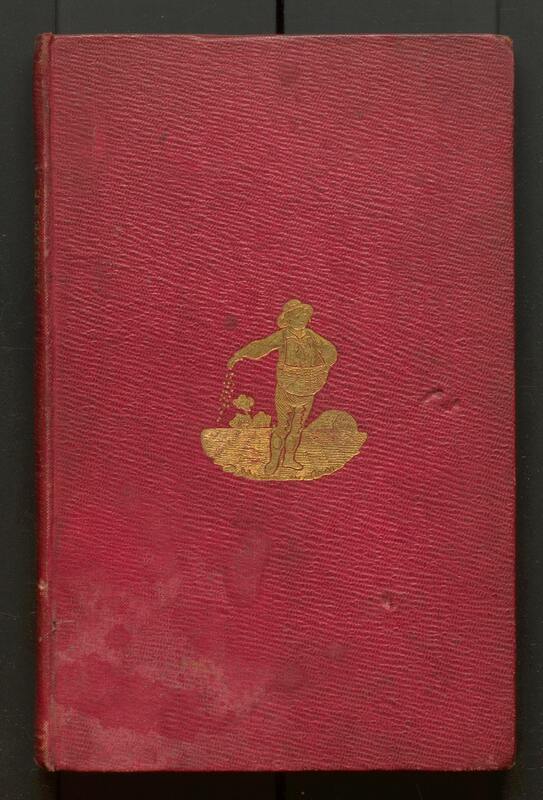 The second item is an 1847 copy of “An alphabet of emblems“, with the publisher issued red buckram binding with gilt tooling. This rather pious set of poems was designed to improve the moral fibre of the juvenile reader via poetry with biblical themes. 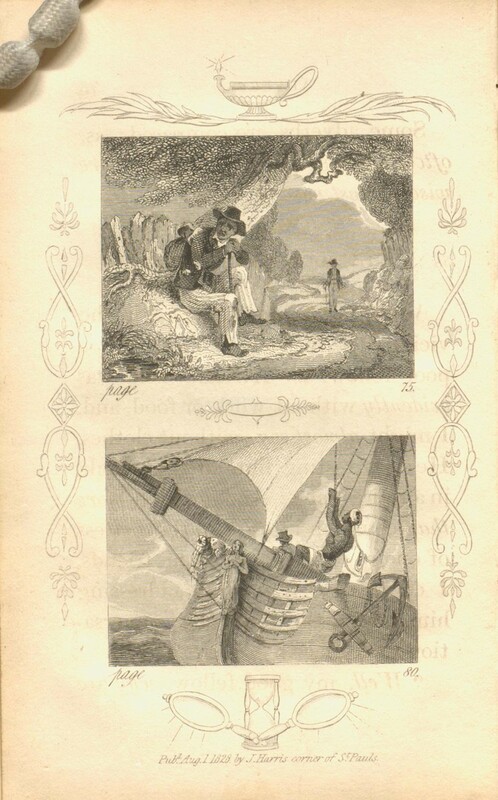 The devout tone is somewhat improved, for the modern reader, by the images throughout (see below). This work, written by the Church of England clergyman Thomas Boyles Murray, has only four reported copies according to COPAC. The final item in this round up of new children’s literature is “The little grammarian“, an 1828 book printed by that well known children’s book publisher John Harris. Another effort from a clergyman (where did they find the time?! ), this beautifully illustrated effort by William Fletcher introduces a young audience to the basics of English grammar. All of these items are now available for consultation in SC&A, you can check our new website for information on how to make an appointment. This entry was posted in 18c printed books, 19c printed books, Children's Books, Special Collections and tagged accessions2017, new accessions, Special Collections by scastaff. Bookmark the permalink.